Here's just a small sampling of the weddings I've helped to facilitate over the years. We were lucky enough to have Karen marry us and help us through the process of designing and writing our wedding ceremony. Karen made the focus from our first meeting on us and our relationship. It meant our ceremony was personal, special and reflected who we are and our heritage. It gave a very personal touch to the day that she also married Jess' sister and will soon be marrying Hannah's brother. She is definitely now the family celebrant! 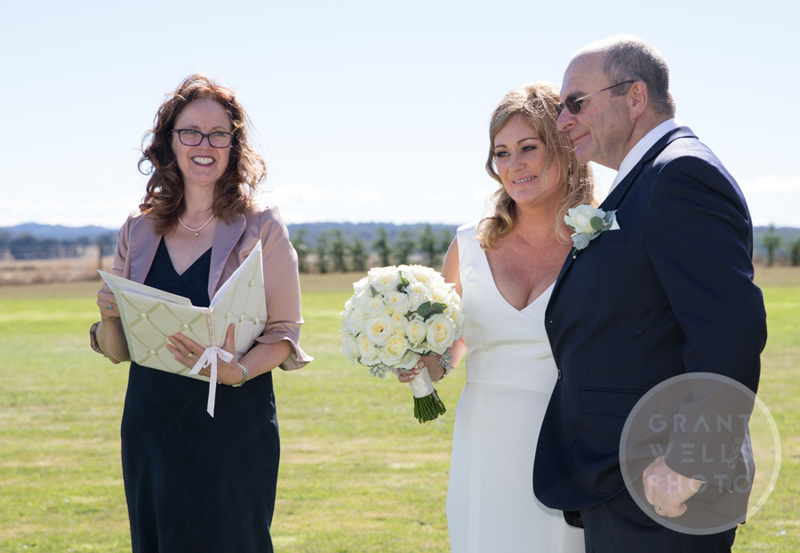 My husband and I felt that getting the right celebrant for our ceremony was one of the most important parts of the wedding. After all, what you say to one another lasts forever; the promises you make, the personal sentiments, and we wanted to make sure we had someone who understood that we wanted our ceremony to be personal and heartfelt. We aren't especially religious and we definitely didn't want a traditional "love, honour, obey" type of ceremony. As soon as we met Karen we knew she was the right person for the task. Karen was fantastic at giving direction and resources to enable us to create our own unique ceremony and was professional and attentive at every step of the way. She found the right balance between ensuring we felt the ceremony was 'ours' and providing appropriate guidance to ensure the day flowed well and struck the chord we were after. Karen was thoroughly across all the latest legal requirements for wedding ceremonies and similarly outlined the legal implications of marriage in plain English. If you want a stylish, personal ceremony I would say to any couples looking for their celebrant, you need look no further than Karen. In the lead up to our wedding Karen helped guide us on the true meaning and importance of marriage which assisted greatly in crafting our wedding ceremony and choosing our vows. She played such an important role in creating a happy, loving and intimate feel at our wedding ceremony while ensuring everything ran smoothly and as we hoped on the day. We especially appreciated the time and effort she placed on getting to know our family and close friends at the ceremony. Our wedding was a lovely starting point for committing to our future together and we can’t thank her enough. Thank you so much for marrying Charles and I on Saturday, you were wonderful. We had many people say to us what a great choice of celebrant we made. Charles and I were both very happy. Thank you for being the Celebrant for our wedding. We thought you did a wonderful job and it helped immensely to make our day the special day it was. It really was one of the best days of our lives and everyone we’ve spoken to that it was one of the best wedding they have attended. 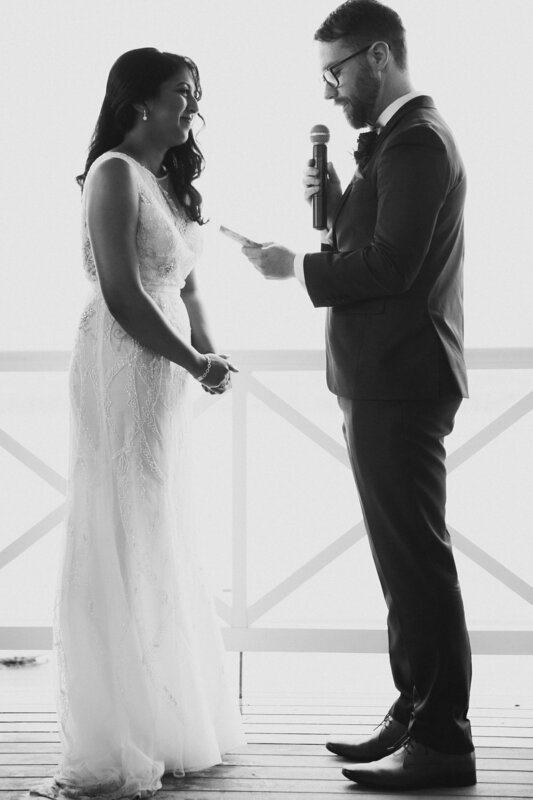 Many commented on how they loved the ribbon fasting and loved our own written vows. Several spoke of how good a job they thought you had done performing the ceremony. For us too, but not just this, but also your guidance in the lead up to the wedding, so for that we thank you. Karen helped us every step of the way to create a ceremony that reflected us perfectly. The advice she gave on making the day not only about us getting married, but also about our children coming together with us, was invaluable. Her professionalism and relaxed nature made our day one that was calm, comfortable and full of love. Thank you Karen for your part in creating a perfect memory! Karen was a fantastic celebrant, she was extremely adaptable to our style of wedding, we didn't want the extravagance of a typical wedding. Ours was very DIY and Karen fitted into our requests, ideas and style very easily. She maintained a very professional approach to the legal procedure while being very relaxed and having a laugh during our meetings and before and after the ceremony. She was a blessing to have around to help with the pre-ceremony jitters! We couldn't recommend her enough. We were so happy with Karen's celebrant service. Our brief to Karen was a relaxed feel and she delivered perfectly, tailoring a ceremony that catered to our requirements with sensitivity. Karen put us both at ease when nerves and emotions struck. We would highly recommend Karen's services. Karen was a great celebrant; she made the time to understand the type of ceremony we wanted and built something we were both thrilled with. She was professional yet relaxed on the day which helped a lot. We even come up with some impromptu vowels on the day which made the ceremony personal. We would most certainly recommend her.